Thank you for considering fundraising for Star Throwers! Without people like you fundraising for us Star Throwers simply could not exist. Below are some of the ways in which you can fundraise for Star Throwers. Please remember contact us to tell us about what fundraising you are undertaking so we can support you with advertising and providing advice and materials to make your efforts a resounding success. If you have any different, new or slightly wacky ideas(!) we would also love to hear from you. Community fundraising is all about doing it as a team! Find some willing friends, family members or local community groups and start planning your event or activity. Download our ‘Top Tips’ document for more ideas and support. 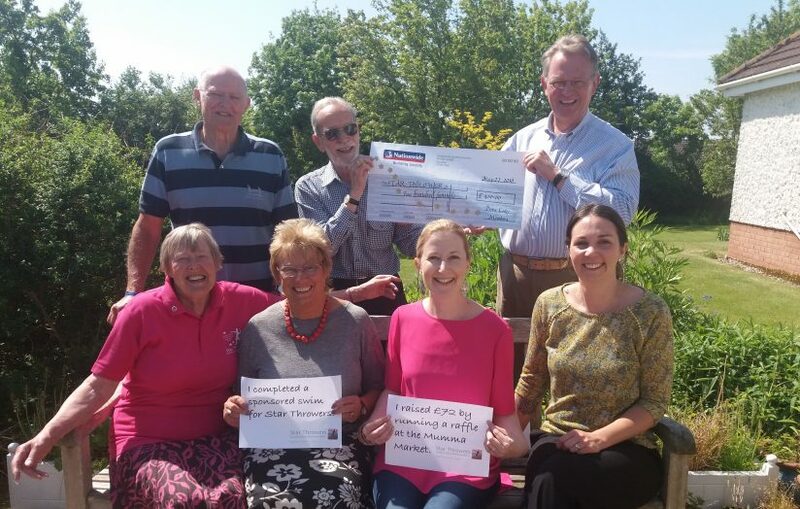 Fundraising at work can be a great way of improving teamwork whilst having some fun! Your event could be anything from a charity auction to a ‘dress down day’, an afternoon tea to a sponsored walk. If you’re in need of inspiration please contact us for some suggestions. Star Throwers holds several fundraising events throughout the year – contact us to see how you could get involved through participating, sponsorship, volunteering, donating goods or services. 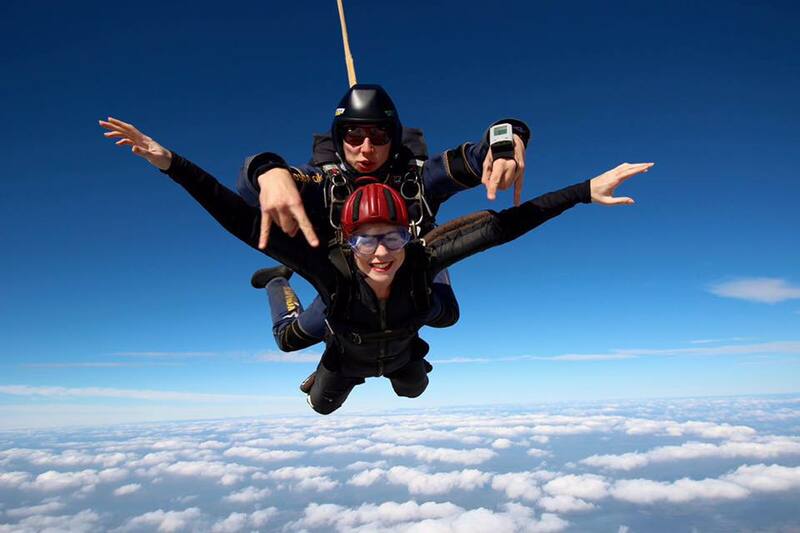 We run a dedicated Star Throwers Skydive Day every year – join others on the day or choose another day you, your colleagues or friends and family might want to do a charity skydive altogether! Sign up on the UK Parachuting website for our 2019 jump on 29th June. Want to take on your own challenge? Contact us for sponsorship forms, branded t-shirts and sign up to raise money online via Virgin Money Giving. A really simple way to support Star Throwers is to have one of our collection tins at your place of work or event – it is amazing how quickly loose change can add up to make a substantial donation. Contact us if you are able to display a collection tin at your premises. Whether you are celebrating a birthday, anniversary, wedding or other occasion why not consider asking for donations to Star Throwers in lieu of presents? Raising money through donations can be a special way of supporting Star Throwers if you or a loved one has benefitted from our services. We can support you with collection tins and buckets and donation forms to help you maximise gift aid donations. We are incredibly grateful for our amazing supporters and we will try and help you in anyway we can. First of all – make sure you tell us about your event, email: info@starthrowers.org.uk or call 01953 423304.
charity representatives – to give a talk or more information. We hold regular ‘Supporter Open Mornings’ where we invite along those who have either supported us through fundraising or awareness activities or those who are interested in supporting Star Throwes. One of the best ways for you to learn more about Star Throwers, what we do and where your money goes is to visit and meet us! Contact us to find out how you can come along to one of our Supporter Open Mornings where you can meet some of the volunteers, patients and staff and have a tour of the centre.